Salt Lake City, Utah, June 15, 2018 – RiskRecon, a rapidly growing company transforming the management of third-party cyber risk, announced today it has been selected as a finalist for Red Herring's Top 100 North America award, a prestigious list honoring the year’s most promising private technology ventures from the North American business region. “It’s been a time of incredible growth and product innovation,” said Eric Blatte, co-founder and President of RiskRecon. “We’re thrilled to be recognized for our unique, scalable approach to third-party cyber risk monitoring that gives clients actionable insights from accurate, risk-prioritized security measurements." 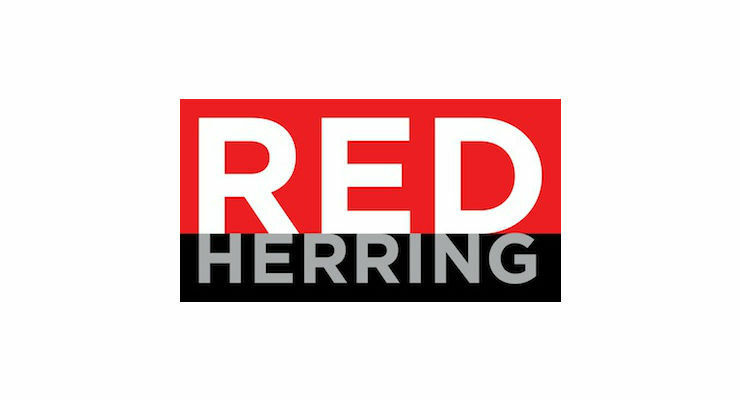 "This year was rewarding, beyond all expectations" said Alex Vieux, publisher and CEO of Red Herring. "There are many great companies generating really innovative and disruptive products in North America. We had a very difficult time narrowing the pool and selecting the finalists. RiskRecon shows great promise and therefore deserves to be among the finalists. Now we’re faced with the difficult task of selecting the Top 100 winners of Red Herring North America. We know that the 2018 crop will grow into some amazing companies that are sure to make an impact." Finalists for the 2018 edition of the Red Herring 100 North America award are selected based upon their technological innovation, management strength, market size, investor record, customer acquisition, and financial health. During the months leading up to the announcement, Red Herring reviewed more than 1200 companies in the telecommunications, security, cloud, software, hardware, biotech, mobile and other industries that completed their submissions to qualify for the award. Eric Blatte will join the finalists, who are invited to present their winning strategies at the Red Herring North America Forum in Marina Del Rey, June 18-20, 2018. The Top 100 winners will be announced at a special awards ceremony on the evening of June 20 at the event. About RiskRecon RiskRecon’s continuous monitoring solution delivers risk-prioritized action plans that enable precise, efficient elimination of companies’ most critical third-party security gaps. Its data-driven SaaS service relies on passive, direct analysis of Internet-facing systems to quantify risks and provide straightforward evidence necessary for remediation. Rather than producing a laundry list of issues, RiskRecon’s custom analytics quantify true risk by determining each system’s issue severity and asset value. Only RiskRecon enables customers to build a scalable, third-party risk reduction program that compresses remediation cycle time, improves analyst productivity, and ensures constructive vendor collaboration. Learn more at www.riskrecon.com.